I graduated with around $38,000 in student loan debt when I had finally finished my Finance MBA. Yes, I worked full-time the whole time and saved money where I could, but funding two undergraduate degrees and also my Masters was expensive. My undergraduate school was an expensive private university which cost around $30,000 for tuition. I lived off campus in a house I rented, or my college bill would have been around $40,000 per year. And then my Finance MBA was also very expensive. I was able to shave a lot off of my total college bill because of many things that I did in order to pay for college. I believe I received around $15,000 each year for my undergraduate tuition from scholarships directly from my college. And the majority of the rest, I had financed with student loan debt. And then with my Finance MBA, I paid for almost all of it with my own money by setting up a payment plan so that I wouldn’t have to part with so much of my money at one time. Not everyone has parents who pay for their college, and I was one of those kids. 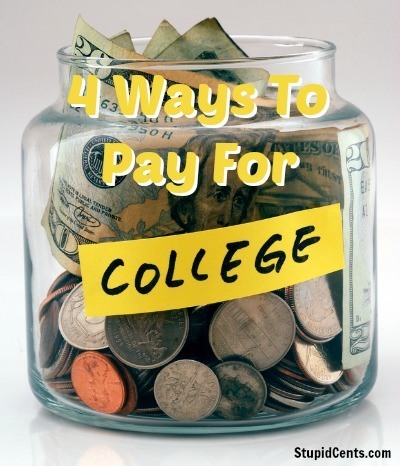 I had to come up with multiple ways in order to make my college dreams more affordable so that I wouldn’t be drowning in student loan debt the moment that I graduated from college. Yes, $38,000 is a lot, but for three degrees, I think I’ll take it. Having degrees has opened up many doors for me, and I’m glad I don’t have any more debt than I currently have. Many people have much higher amounts that are unmanageable for them, so I am glad I am not at that point. It never hurts to ask right? Yes, they might say no, but there is the possibility that you can get thousands with one similar request. Usually you can write a letter and ask if there is any additional scholarship funds that they can give you. Contact the financial aid office and also anyone else who could possible lower your tuition. Sometimes there is leftover money from funds that they planned to give out, yet no one claimed the funds. So the option is there and is possible. Most colleges offer this and the positive of this is that most of the time you do not need to pay any interest. I paid for most of my Finance MBA by setting up a payment plan. It was easy to do and I believe all I paid was a $10 fee to set it up. This is an easy one right? Determine how many hours you want to work and what is realistic. Also, look for work study jobs on your campus. From what I’ve seen, they are usually a lot easier than working a job off campus because the hours and jobs are usually much more flexible with your school life. There are many options available such as being a resident advisor, teacher helper (assisting with grading papers, making copies, etc. ), cafeteria and so on. I only earned scholarships directly from the schools that I attended. There are many private scholarships out there and many website out there for which you can search these scholarships on. Scholarships can range from something small such as $25 and very large consisting of your whole tuition bill. The effort also varies: you can just be clicking the “apply” button, whereas other scholarships ask that you invent something or produce a 200 page paper. How did you pay for college? How much debt did you accrue?